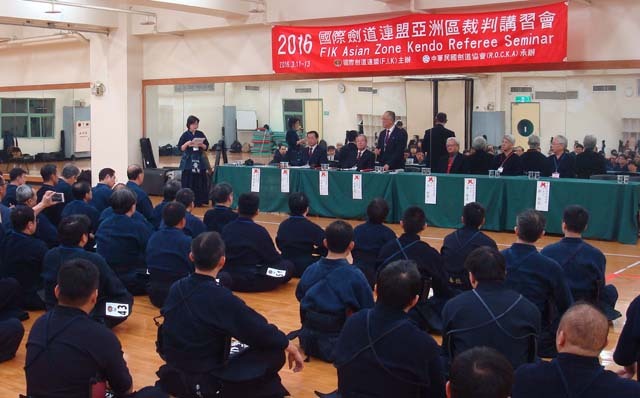 The FIK Asia Zone Kendo Referee Seminar was held from 12–13 March, 2016, at Taiwan University Gymnasium in Taipei, Chinese Taipei. 82 trainees from eight countries (Japan, Korea, Hong Kong, China, Chinese Taipei, Australia, Malaysia and Singapore) attended the seminar. 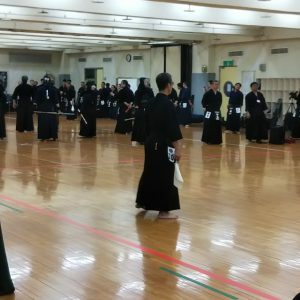 Including the shiai-sha for the practice matches and local kendo staff, more than 100 people participated in the seminar. There were some excellent kendoka from Taipei who did very well in the practice matches. 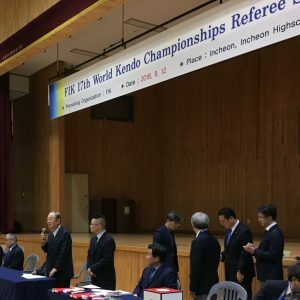 Following the opening message by Wu-sensei, President of ROCKA, Chief Instructor Sato-sensei explained the important points of kendo refereeing. 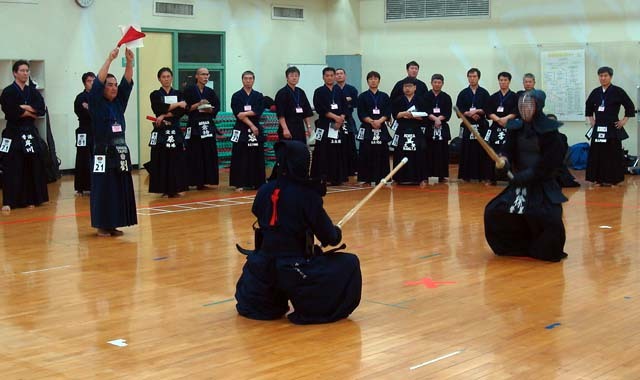 The refereeing training session was then started by Otake-sensei and Miyake-sensei on two courts. 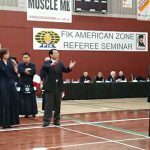 The main point of this seminar was to clarify what a “yuko-datotsu” (valid strike and thrusts) is, as well as confirming other refereeing details. The judging skills of the trainees had improved by the end of the two-day seminar. All of the trainee referees learned more about refereeing and enjoyed the seminar.